This year the hubs and I want to be ahead of the game at the end of the year. 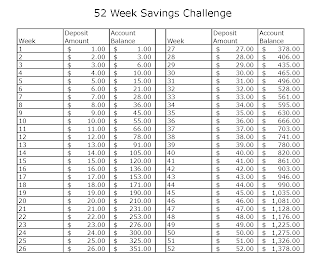 We have been taking about how can we have savings for family pictures, Christmas or even a vacation for next year. (yes next year as the trip to FL for the Princess Half is our big trip this year.) 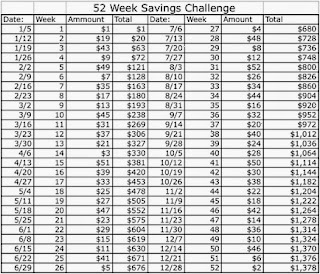 This 52 week Challenge program is floating around on Facebook and I thought it was worth trying out. But for us, paying $200 a month by December didn't really work. 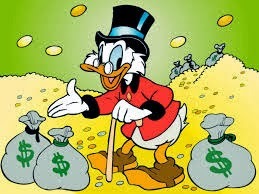 December we have real estate and personal property taxes, and our HOA due. So that much for December alone would really hurt us and we probably wouldn't be able to complete the challenge. So I came up with a new one, same money amounts and all but it is just spread out throughout the year. 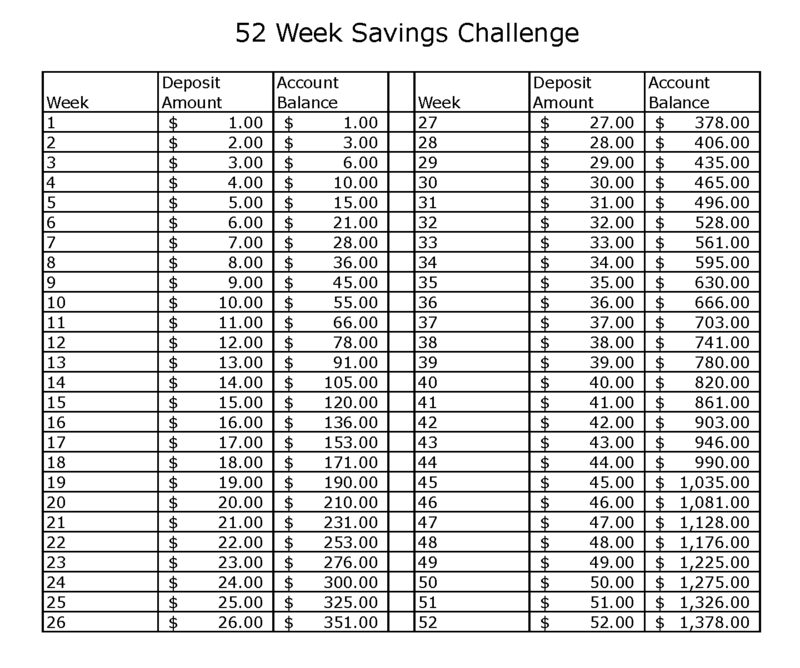 So, if you could save $1378 in one year, would you do it? Also don't feel like you have to do the entire 52 weeks version. Just do $1-$26 and then repeat or on the 2nd half of the year go $26-$1 so again, your December is super easy to handle. You will still be saving more money than you might be saving now! It is worth a try, right? I will post an update half way through the year to see if this is actually working or not. And let me know how it is going for you too! 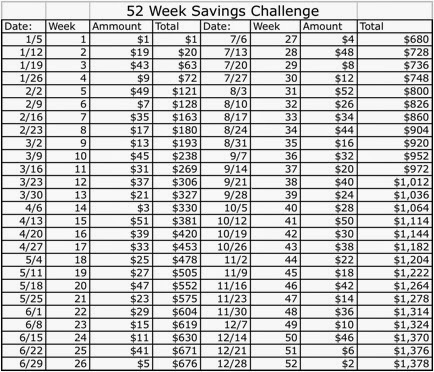 QOTD: Which version would you try if you did the 52 week challenge? Or would you come up with one on your own to fit your families needs?